It was the “Miami Shoot-Out” of April 11, 1986, that gave the 9mm Luger a bad name, in part, even though the real culprit was a simple one: the eight FBI agents that engaged had no rifle, whereas M.L. Platt had one, a Ruger Mini-14. Platt finally expired after being shot twelve times. Yet now, thirty years later, the F.B.I. and other Federal agencies are going back to the 9mm, an $85 million contract awarded to Glock, displacing the .40 S & W Glocks that were standard-issue from 1997 onward. As it turns out, the penalties of going away from the 9mm Luger proved too severe: less capacity, more recoil from a similarly weighted handgun, and no discernible benefit in performance. The .40 S & W is less accurate as well, meaning only that most folks shoot 9mm's more accurately. Handguns suitable for carry are not particularly lethal: Vanderbilt University Medical Center, over a five-year period ending with fiscal year 2001, treated 1,302 victims of gunshot wounds. Patients treated at VUMC for gunshot wounds have an average survival rate of about 80 percent. About 60 percent of these patients of all ages are treated and discharged directly to home. Two percent of VUMC’s gunshot victims are discharged directly to jail. You've no doubt heard about some of the more celebrated cases, for example 23-year-old New York City resident Sean Bell. On Nov. 25, 2006, Sean Bell, due to be married later that day, Bell was holding his bachelor party at Club Kalua, climbed into a gray Nissan with two friends who had been celebrating with him — and died in a hail of 50 bullets fired by a group of five police officers. New York City agreed in July 2010 to pay $7.15 million to settle a federal lawsuit filed by the family and two friends of Mr. Bell. The lawsuit, filed in 2007, accused the police of wrongful death, negligence, assault and civil rights violations. Joseph Guzman, friend of Sean, was hit 19 times, yet survived. Actor, rapper, record producer, author, and entrepreneur 50 Cent was shot nine times at close range with a 9mm handgun, reportedly by Darryl "Hommo" Baum, friend and bodyguard of Mike Tyson, on May 24, 2000. After 13 days in the hospital, 50 Cent was released. He has since released four albums, with his fifth due shortly. Handgun lethality is largely random, luck of the draw, or “roulette” according to Dr. Martin L. Fackler and Dr. Vincent J. M. Di Maio. Not only is the survival rate 80%, but if a gunshot victim's heart is still beating upon arrival at VUMC, survival is at roughly 95%. Some are surprised at this, but the stupidity of Chicago, Illinois shows that guns are not nearly as lethal as often portrayed. The preliminary totals for 2016, for Chicago, are 4,376 shot, 3.663 shot and wounded, 713 shot and killed: a 16.29% mortality rate. In 80.3% of these cases, the shooter is unknown and there is no arrest. Sure, handguns are potentially lethal, regardless of cartridge, but only potentially and that isn't the point if you are forced to use a firearm for self-defense: it is to stop the attack. I've handgun hunted on and off for years, but those guns aren't remotely suited for concealed carry or even self-defense. My scoped Ruger Super Redhawk .44 Remington Magnum weighs over 4-1/4 lbs. In actual self-defense use, I've had to use a gun exactly once in my life, a Makarov .380, and it did the job. There isn't as much difference in accuracy between pistols at extremely close ranges as some folks like to think. The main difference is more often you and me, not the gun. Heavier guns, whether handguns, shotguns, or rifles are more stable and easier to shoot well, and more pleasurable to shoot, up to a point. It is hard to get away from this. Unfortunately, heavy, bulky, long, and stable is exactly what we seem to strive to get away from as a concealed carry arm. It is the compromise of the application. “It is essential to bear in mind that the single most critical factor remains penetration. While penetration up to 18 inches is preferable, a handgun bullet MUST reliably penetrate 12 inches of soft body tissue at a minimum, regardless of whether it expands or not.” (Handgun Wounding Factors and Effectiveness, FIREARMS TRAINING UNIT FBI ACADEMY QUANTICO, VIRGINIA July 14, 1989). 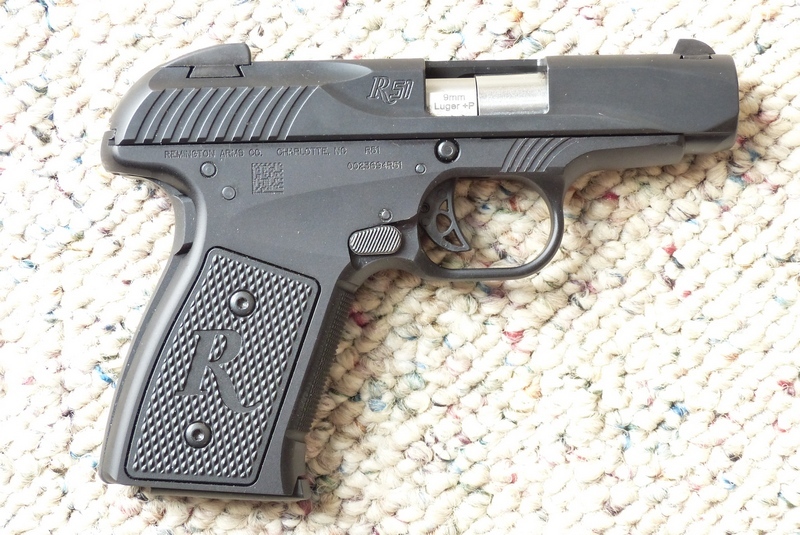 Ruger LC9s Pro 17.2 oz. 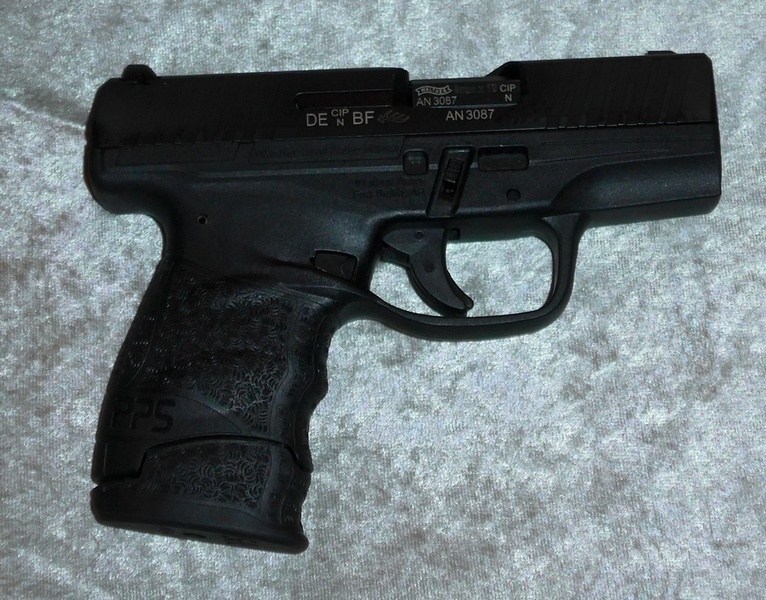 Walther PPS M2 21.1 oz. Ruger LC9s Pro No written warranty. Ruger LC9s: Pro Not recommended. Remington R51: Two, 7 round. Ruger LC9s Pro: One, 7 round. Walther PPS M2 Two: One 6 round, one seven round. Whenever I do a match-up like this, I'm reminded that none of these models are California-approved or available in other states like Massachusetts. The Second Amendment remains a second-class right in several states and still American citizens are legislated out of the right to protect their families. As with most gun laws, criminals remain unaffected. The Ruger LC9s is noticeably lighter than the Remington and the Walther, and is the easily least comfortable of the three to shoot. The little magazine extension (included) is needed to keep my pinky from dangling in the air. The trigger is light enough at 5 lbs. 2 oz., but has tremendously excessive take-up before you get to the business portion of the pull. Take down is quite easy, as you decock by pulling the trigger then knock out a pin with a punch. The pistol is quite a rattle-trap, yet overall is a big improvement from the original LC9 introduced in 2011. The blocky-looking Walther PPS M2 feels and shoots a lot better than it looks. It has a bit heavier, but far crisper trigger than the Ruger, and it needs the extended magazine installed to give purchase for my little finger. Early in 2016, when I first started evaluating it, I felt it was the best new compact pistol of 2016. Take-down is easy, as it is tool-less Glock style. 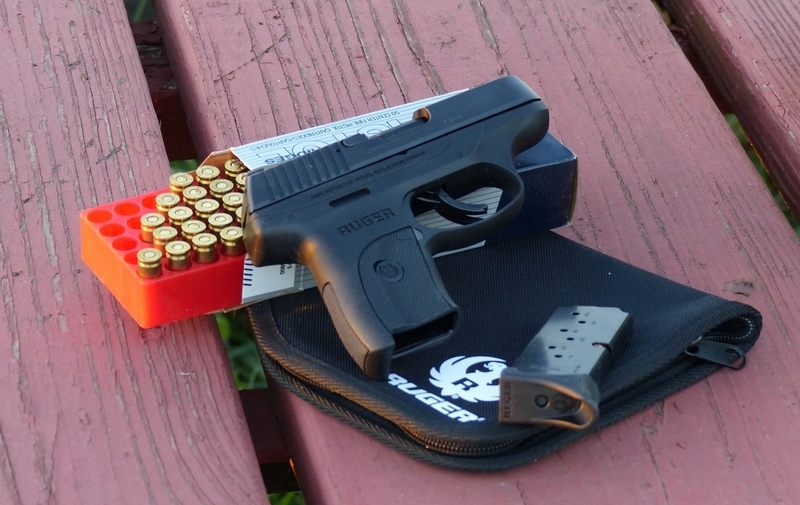 I'm far more accurate with it than the Ruger: it is easy to keep a magazine full of Hornady 115 grain Critical Defense loads inside two-three inches at 10 yards shooting off-hand, quite sufficient accuracy for intimate self-defense. The PPS M2 is a significant improvement over the prior PPS of 2007 with its wacky trigger-guard magazine release that received little love. The PPS M2 loses the dual backstraps of the PPS “Classic” and clearly has a better trigger than the original PPS as well, at a lower price as well. 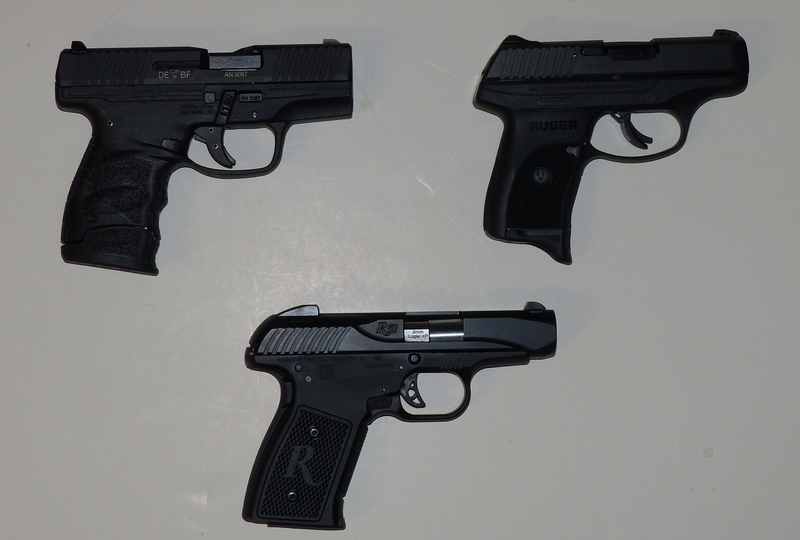 The Remington R51 was the last of this trio to make it here, and is a substantially different design than either the Ruger or the Walther, both of which are Glock-inspired. Take down is certainly a bit more involved than on the Walther, but not at all difficult after you have done it a couple of times and take-down of a concealed carry pistol in your trunk is about the last thing anyone would logically attempt, much less obsess about. Losing the plastic frame and going with alloy, the Remington is better-balanced and better-handling than the Walther. It also has a lighter trigger and rather than rely on the Glock-type system, it offers a grip safety that is intuitive. It is the easiest of the bunch to shoot well, for it does have far less muzzle jump and accurate follow-up shots are faster as a direct result. The essentially all metal construction, the balance and handling, the low muzzle rise, grip safety, ambidextrous mag release, light and short take-up trigger all combine to make the R51 an easy winner in this round up. It's never a bad idea to rent the model or models of a handgun you're interested in at your local pro shop, and take them for a test drive. A big variable is always the human factor and personal preference, and your own hands-on experience will tell you not what is right, but more importantly, what is right for you.